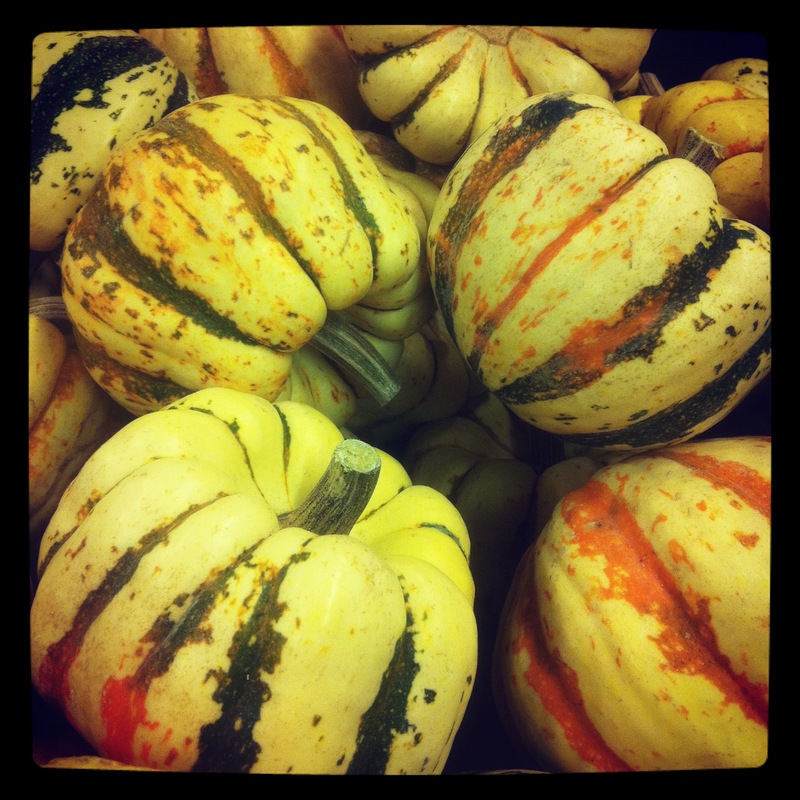 Fall is here and so is the fall produce! I always thought these were just for decoration! This year I have decided to try out at least two new varieties of squash. I finally realized a couple years back that there was more to squash than zucchini and pumpkins. Acorn squash was delicious, even if I had to chase it across the counter and almost lose a couple of fingers. 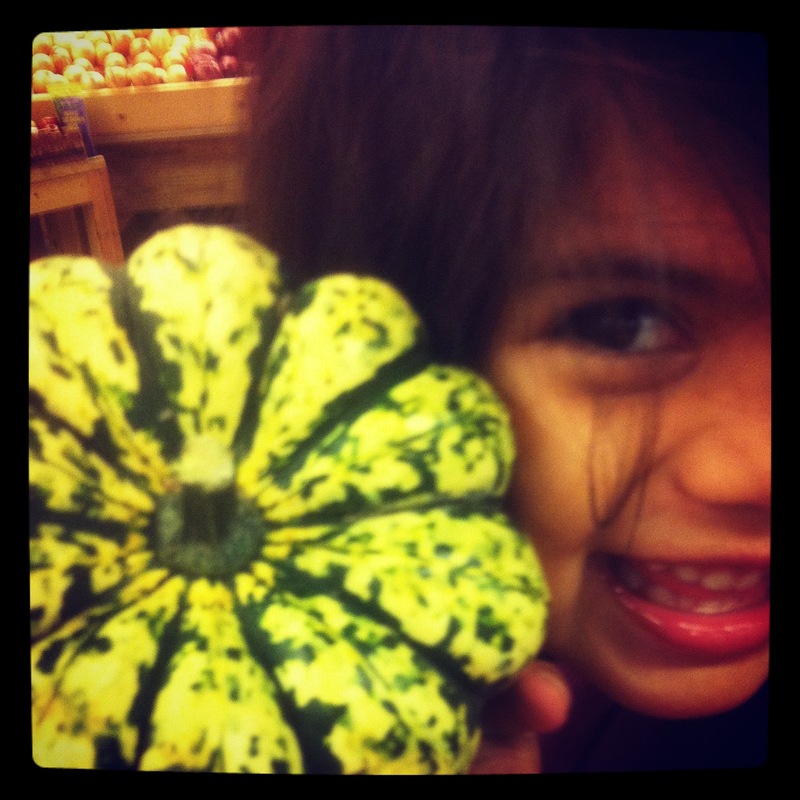 At Central Market yesterday I picked up several carnival squash, modeled by my lovely daughter. I think I will attempt those bad boys on Friday. I also picked up some lovely grapes and beets, all while answering 103 questions from my daughter. I know it was 103 questions because I used my handy new Tally app. Tonight I made roasted cornish hens and roasted beets with goat cheese. I threw in some tiny yellow tomatoes for fun and because my son thinks they’re like candy. Considering all the real candy we still have from Halloween I think it’s a good change of pace. I have a new love for beets, especially with goat cheese and the kids are learning to tolerate them, dare I say, even kind of like them? Although my boy announced “Great, now I’m going to have red poop.” Tomorrow it’s bolognese and pappardelle pasta, I enjoy cooking much more in the fall when the temps are finally starting to cool down. 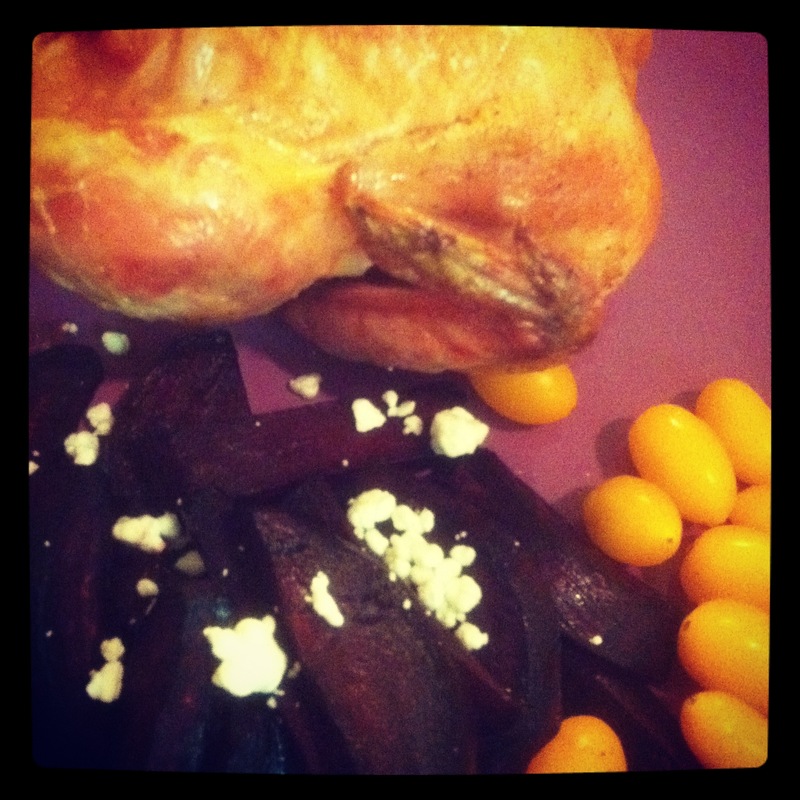 This entry was posted in Cooking, Parenting, Uncategorized and tagged beets, fall, produce, roasted chicken, squash. Bookmark the permalink. yup, beet poop- it is a positive thing to stain our insides that way! And more than a little alarming if you’ve never consumed that amount of beet before.